Spring / Summer means new collections and I was so thrilled to see the new Revlon Lip Butter shades on the shelves last week. Gucci Westman is an American makeup artist and cosmetic designer recently employed by Revlon. She has worked with the likes of Gwyneth Paltrow, Cameron Diaz, Elle Macpherson, Kim Kardashian, and the list goes on. As soon as I saw them, I tweeted a photo – I just love them so much! 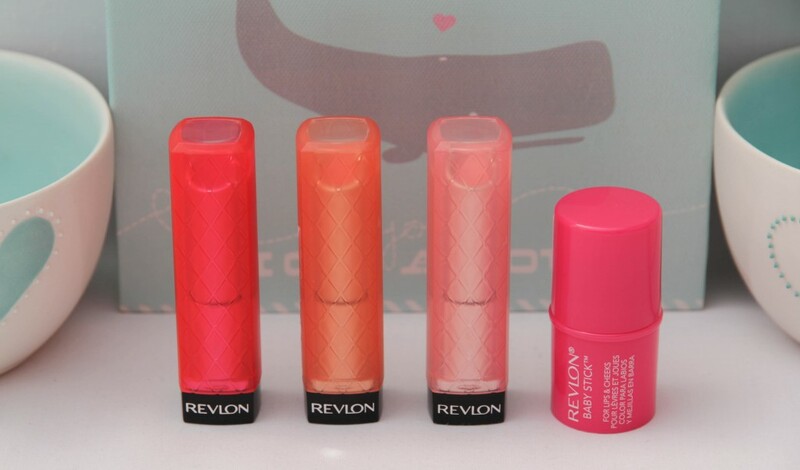 If you would like to see my collection of Revlon Lip Butters (excluding the ones from the new collection), take a look here. As mentioned in my last Revlon Lip Butter Collection blog post, I ordered 2 of the new shades online because I wasn’t sure whether they would come to South Africa. I ordered Juicy Papaya and Pink Lemonade because those 2 looked like they would be right up my alley in terms of colour. Then last week I saw they were on the limited edition shelf in Clicks and decided to get Wild Watermelon AND a Baby Stick. The term Baby Stick actually had me sold and the packaging was the cherry on top – I mean, how cute is that fat little stick?! There are 3 Baby Sticks in the collection – I chose Pink Passion (don’t even bother swatching the other 2 shades, girls – they’re useless). There are 4 new Lip Butter shades but I didn’t purchase Sorbet as it was just too similar to another Lip Butter I own called Sweet Tart. This is the most vibrant and opaque one out of the lot – it’s a reddish pinky shade with a more balmy than glossy finish. The other 2 Lip Butters I own from the collection are less pigmented but more glossy. This one is a gorgeous peachy orange shade (but less orange than the original Tutti Frutti Lip Butter, and also less pigmented). It’s almost like a toned down, slightly more pink version of Tutti Frutti and leaves the lips feeling moisturised and glossy. This was the shade I was looking forward to most, because it’s a warm-toned light pink shade without the milkiness of one of the original shades called Cupcake (Cupcake is sometimes a bit too milky and cool-toned for my liking). The new Revlon Lip Butters retail for R 125,00 at Clicks, Dischem and selected Foschini stores, whereas the Baby Stick retails for R 99,99. Now tell me those swatches don’t make you want to grab your keys and run for the nearest Clicks!? The peach one was the first one I swatched, because it looked so gorgeous but then there was nothing transferred to my skin. I was so frustrated! Then Pink Passion turned out to be a pretty colour – I don’t own a lot of hot pink blush shades, so it was perfect. Yay! I didn’t know Baby Sticks had landed but now I do … whoop whoop! I’m really dying to try out the lips and cheek tint, it’s so cute, plus the colour suits most skin tones! I’m impressed, even the lip butters are gorgeous colours. Please could you follow back? You should def go check them out – the colours are gorgeous!! 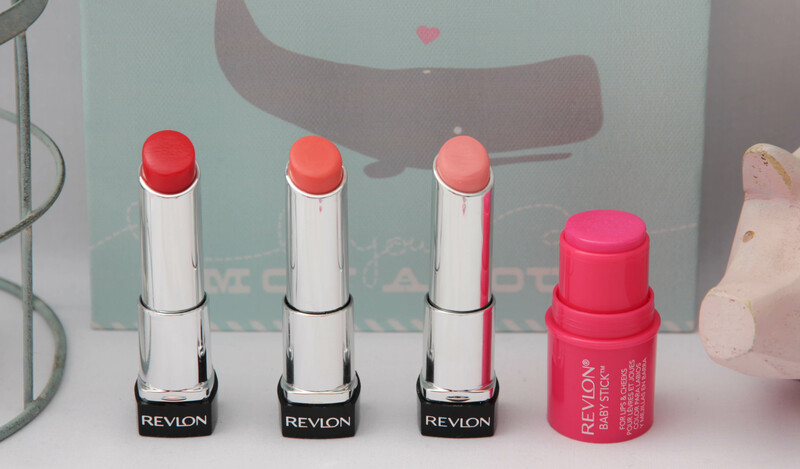 I love all my Revlon Lip Butters too, Summer is just around the corner here so I’ll be using them quite a bit! Great colours! The Pink Passion Baby stick sounds lovely!